I read this article and found it very interesting, thought it might be something for you. The article is called The Myth of the Prosperity Generating Free Market Has Been Dispelled. It’s Time for a New New Deal. 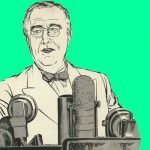 and is located at https://evonomics.com/myth-prosperity-generating-free-market-dispelled-time-new-new-deal/. But times have changed. Once considered to be the High Temple of market dogma, the mighty financial world was about to collapse ten years ago, before it had to be rescued by – surprise – the rest of us. Thomas Fricke is Chief Economist and a member of the European Climate Foundation leadership team. Based in Berlin, Thomas is focused on the ECF’s efforts around managing the transition to low-carbon economy. 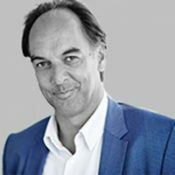 Prior to joining the ECF in December 2013, Thomas was Chief Economist of Financial Times Deutschland, where he wrote a weekly column on the business cycle, economic policy, and international economic issues and was responsible for the economics page and comments.